Mieke Gerritzen is the founder of NL.Design, an Amsterdam-based design company that produces designs for all media. Mieke has taught multimedia design at the Sandberg Institute and the Rietveld Academy. She designed books, catalogues and posters and has been appointed the new director of the Graphic Design Museum in Breda as of January 1, 2009. A perfect gift for art lovers! 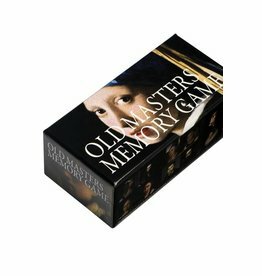 Old Masters Memory Game collects the most famous and beloved portrait painters from the 16th and 17th centuries in one fun game. Find the portraits by Rembrandt, Vermeer, and many more. Picture montages sampled from images imprinted on our visual memory as icons of the mass culture in which we live. 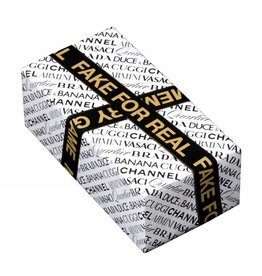 Can you tell what is fake and what is real? 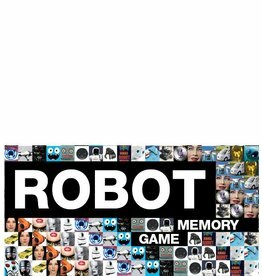 Match the robots within a category - can you match the two self-driving robots, the clone robots or the kiss robots?